A new report says Iran is being hard hit by international sanctions, but evidence shows its nuclear development program is galloping ahead. A new report says Iran is being hard hit by international sanctions, but the evidence indicates its nuclear development activities are galloping ahead. The report, leaked Thursday allegedly by Israel's Foreign Ministry indicates the Islamic Republic is being hard hit by international economic sanctions. Oil exports from Iran have declined by 50 percent over the past year, and the prices of food and electricity have skyrocketed, according to claims published by the Israeli Hebrew-language Ha'aretz newspaper. Several international news outlets pounced on the report, confirmed to the newspaper anonymously by a Jerusalem source not authorized to speak to media, insisting it will undercut efforts by Prime Minister Binyamin Netanyahu to persuade members of the United Nations to finally set a “red line” for Iran on its nuclear development program. Efforts by Arutz Sheva to reach the Foreign Ministry spokesperson to verify the report were unsuccessful. Netanyahu is scheduled to address the international body's General Assembly on Thursday afternoon, EDT. The prime minister is expected to again call for increased pressure on Iran, stressing that the current sanctions are not having the desired effect. While Iranians at home may well be facing hardships as a result of the sanctions, there is no evidence whatsoever the Islamic Republic has slowed down its uranium enrichment and other nuclear development activities. 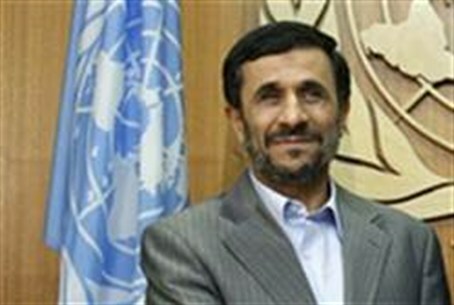 In fact, if anything, Iran's uranium enrichment program has been stepped up, and its President Mahmoud Ahmadinejad has reiterated his calls for Israel's annihilation. U.S. President Barack Obama, meanwhile, chose to spend his off-the-floor time at the U.N. General Assembly at the television studio chatting with the host of The View. However, Obama insisted he had no time to spare for a meeting with Netanyahu, or with any other head of state. The decision received rather jaundiced reviews, especially following televised remarks on the CBS program '60 Minutes' in which he referred to Israel's repeated concerns over the Iranian nuclear threat as "noise." While in New York, however, he did manage to take time to visit with entertainers Beyonce and Jay Z, and do a little fundraising for his re-election campaign.